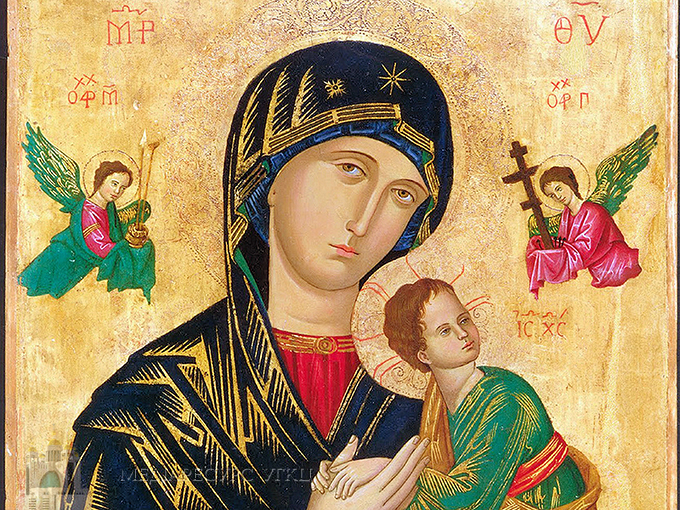 The Head of the UGCC, His Beatitude Sviatoslav, approved the decision about introducing the Feast of Our Mother of Perpetual Help, which was concluded by the Patriarchal Liturgical Commission and handed over to the Primate for familiarization and proclamation. The decree of the proclamation of the Feast is issued in Kyiv, at the Patriarchal Cathedral of the Resurrection of Christ on Wednesday, June 20. "We, by our authority, with our decree - BA 17/454 of December 11, 2017 of God - made it known to the people of God, having also decided on its celebration on the first Sunday of July. The Patriarchal Liturgical Commission was instructed to work on the liturgical texts of this holiday," says in the document. "In accordance with the provisions of the section" Liturgical Texts," of the Instructions for the submission of liturgical texts, their reprints and translations (e.g., the Messenger of the Supreme Archbishop of the Kyiv-Halych UGCC 2013, p. 114), we approve and declare ad experimentum the Feast of Our Mother of Perpetual Help for the term of three years," says in the Decree, which takes effect on June 21, 2018. It is worth noting that the official proclamation of the holiday and celebrations on this occasion will be attended by the Metropolitans and Bishops of the UGCC, representatives of the fraternities of Our Mother of Perpetual Help of Ukraine and numerous faithful. It should be added that on Sunday, July 1, the Head of the UGCC, His Beatitude Sviatoslav will visit Ternopil on the occasion of the pastoral visit, and solemnly proclaim the Feast of Our Mother of Perpetual Help, which the believers will celebrate each year on the first Sunday of July. The Head of the UGCC will lead the Hierarchical Holy Liturgy in the temple of Our Lady of Perpetual Help (Danylо Halytsky boulevard, 1B). The Liturgy begins at 11:00.